I did a whole bunch of tedious techniques on this dress, and there was a ton of handstitching involved. The smocking alone took me a whopping seven hours. 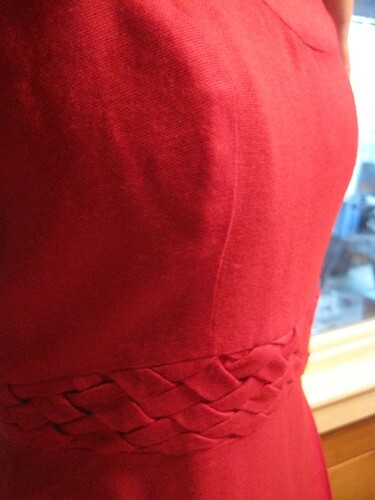 This was my first experience doing a hand-picked zipper--also time consuming. The nice thing about my kind of homework is that I can watch movies while doing it, which makes the time go by marginally faster. I did a princess seamed bodice, which miraculously fit my mannequin perfectly. 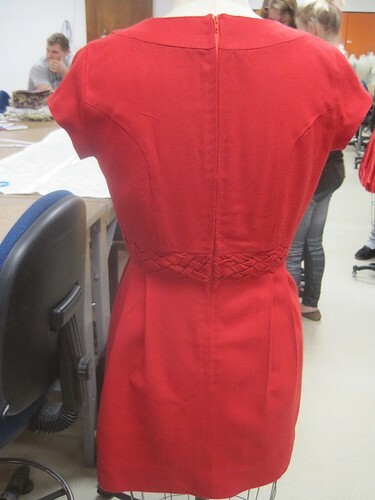 This was a wonderful thing, because I didn't get to fit the dress until the day before it was due. 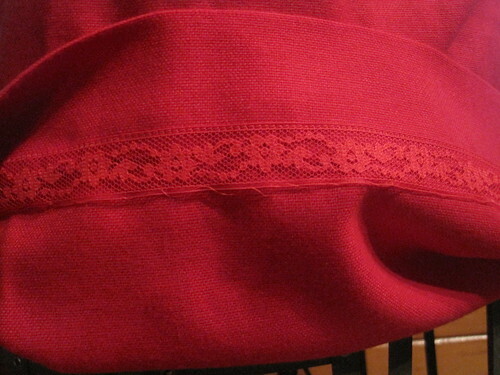 & finally, lace hem tape: my new favorite thing! 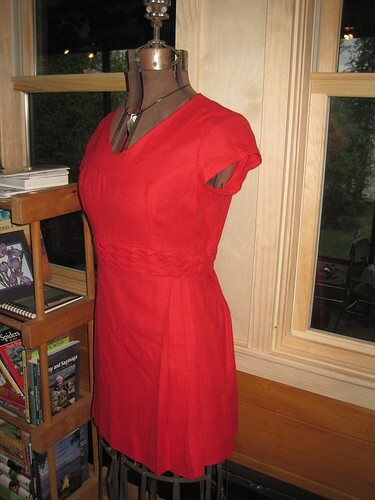 I was working on the dress & neatening up the final pattern pieces until 6AM the day it was due. It wasn't that I'd left everything to the last minute--the dress simply took me that long to complete! My roommate was able to finish hers by 3:30 AM. She, too, had chosen to do time-consuming detailing, so at least we were stuck in the same boat together! I think we were given 2 weeks to do this, from design to completion, which isn't very much time when you have four other classes and plenty of finals! But, our hard work paid off. Out of 25 eligible dresses, mine was one of the ones chosen to enter the contest in Dallas! 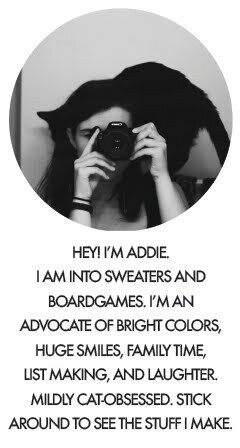 My roommate got chosen as well--we're super stoked to go there together! So, a successful first year? I think yes. Wow! All that hard work was WORTH IT. That's one really well-made dress. Good luck on the Dallas contest! When do you find out about that? 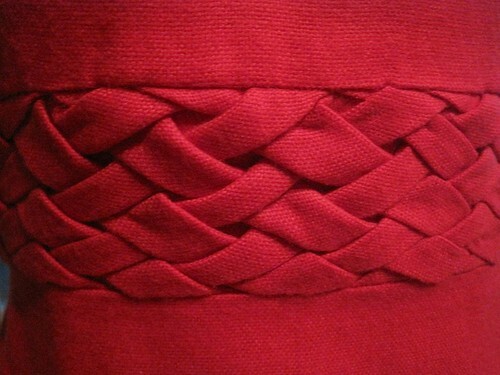 Nicely done :) Have you ever wanted to try doing smocking before this project? Great design and nice execution! Congrats! Congratulations on being entered in the contest! It looks beautifully made. 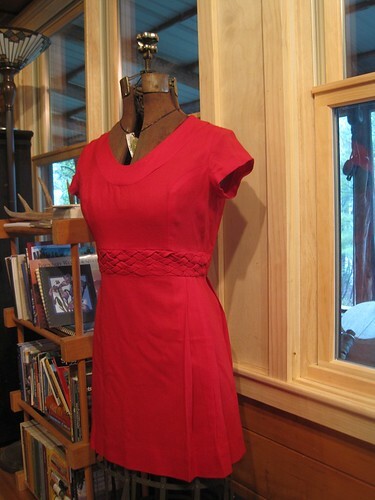 Wow, your little red dress looks amazing! That smocking is incredible. It sounds like you have had a hugely successful first year! Congrats! I love the details of the dress!